Discover the charming settlement of Naoussa in Paros and make the most of your Paros holidays! Paros Island, Greece is a beautiful spot in the Aegean situated in the middle of the Cycladic Islands, offering visitors unforgettable vacations, full of excitement and stimulating activities. 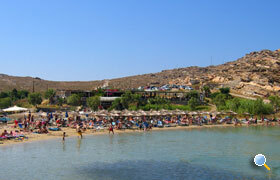 Naoussa is a charming settlement located on Naoussa Bay, along the coast of the northern side of Paros. 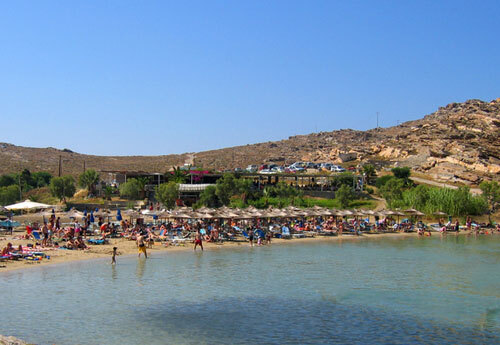 Naoussa Paros is known for its stunning beaches, exciting nightlife and amazing sites giving you the chance to spend the vacation of a lifetime. Even more, it is in Naoussa that you will find the Captain Nicolas Apartments and Studios, right next to Agii Anargyri Beach. 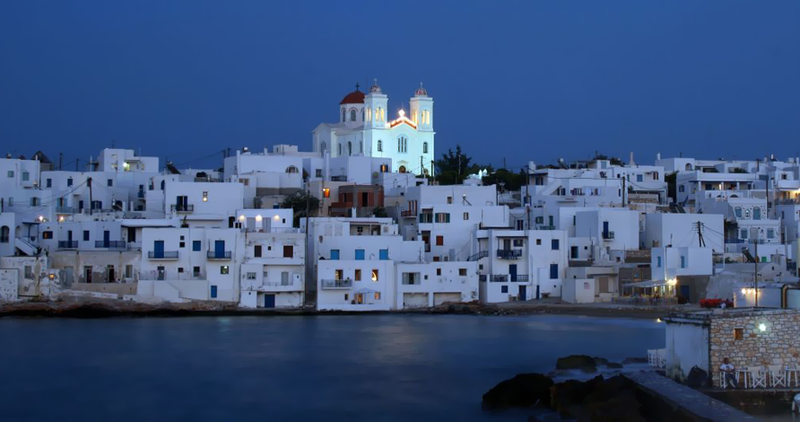 On this page you will discover the information you need so as to experience Naoussa and the whole island to the fullest during your Naoussa Paros holidays. Paros Island has a long and rich history, which is apparent by the sheer abundance of its archaeological, historical and religious sites. Naoussa is the host of several festivals such as the Fish and Wine festival in the first week of July and the re-enactment of the pirates’ raid called “Koursariki Nychta” (Corsairs’ Night) on the 23rd of August, where dancing, singing and eating is a must. Concerning cultural attractions, the museum at the Agios Athanasios monastery provides a remarkable collection of Byzantine icons. In Agii Anargyri lies a local winery where you can take a tour and taste wine. In and around Naoussa, you can visit the Venetian Castle ruins, the old windmills, and the lovely churches, as well as the Mycenaean Acropolis in Kolimbithres. 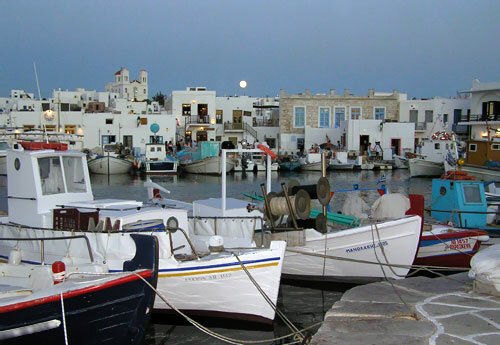 If you wish to discover even more of Paros Island, head to the capital Parikia, and pay a visit to the ruins of Asklipeio, the ancient remains of the sanctuaries of various Olympian gods, the Ancient Graveyard, the Ancient Kastrovouni settlement, the Delion Site, the Castle, and the Archaeological Museum. On your map of Paros, we recommend marking some other interesting sites on the island, such as the Church of Agia Triada in Lefkes, the Ancient Marble Quarries in Marathi, and the “valley of the butterflies” in Psychopiana. While staying in Naoussa, you can enjoy the sun and the sea at the wonderful beaches, such as the sandy Mikro Piperi and Megalo Piperi, Limnes, Agii Anargyri, Xifara, Langeri, Ambelas and Kolimbithres, with impressive sea sculpted rock formations from which the beach was named after. Minutes away from Kolimbithres lies the beautiful Monastiri Beach, while Santa Maria is a popular beach and a perfect surfers’ spot. Other beautiful beaches on the island which are well worth a visit are Aliki, Chrysi Akti, Kladia, Krios, Livadia, Logara, Platia Ammos, Piso Livadi and the popular Pounda. The quaint harbour of Naoussa is lined with nice tavernas and restaurants where you can sample tasty local dishes, traditional specialties as well as fresh fish and sea food. Try “karavoli” (snails with garlic), chickpea soup, chickpea patties, locally produced cheeses, spinach or squash pie, fish soup, rafiolia (little fried myzithra cheese pies) and delicious locally produced wines. As a major resort town, Naoussa provides excellent options for both relaxing and exciting nights out. From the bars just behind the old harbour to the bigger late-night clubs and the café-bars with smashing sea and sunset vista, Naoussa has something for everyone.